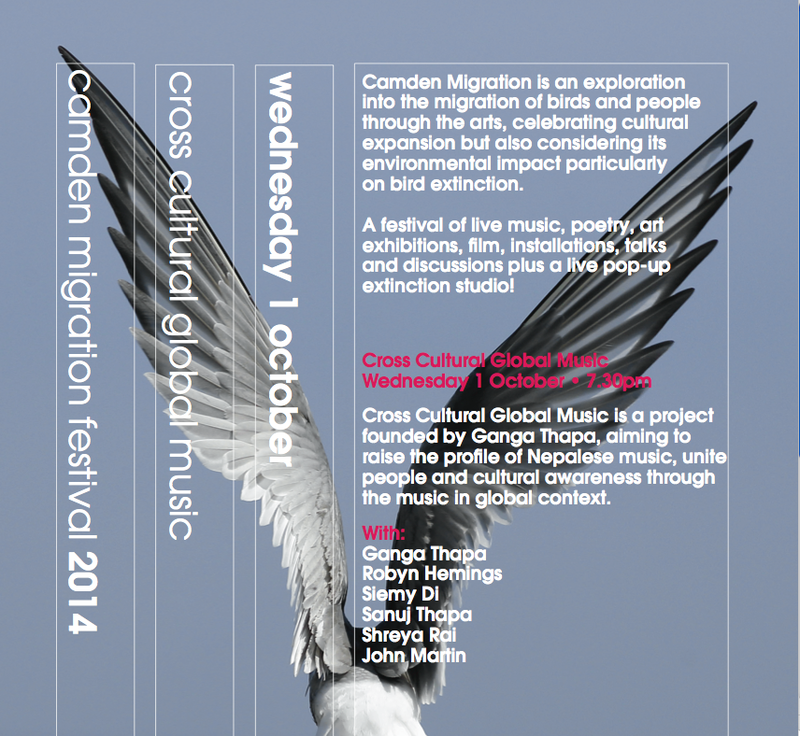 Cross Cultural Global Music is a project founded by Ganga Thapa. It aims to raise the profile of Nepalese music, unite people and cultural awareness through the music in global context. He is also writing and recording original material for his premier Nepalese fusion project, a ‘soaking up’ of the various influences of collaborations with other musicians. You can hear musical strands from Nepal, Mali, India, and west America. Ganga Thapa is graduate at School of Oriental and African studies (University Of London) and well represented in the Nepalese and British community as a versatile professional musician whose principle instruments are the Sarod and classical guitar. His remit is to promote the fact that music and culture is not mutually exclusive, and is a unifying force in bringing people together, hence his Cross Cultural Global Musical Project that aims to raise the profile of not just Nepalese music, but also unite people through music and cultural awareness in global context.